Earlier this week, China, for the fourth time, foiled an international effort to get JeM chief Masood Azhar tagged a global terrorist by the UN. New Delhi: New Delhi: Differences between India and China on the issue of China’s ‘technical hold’ on a proposal for UN sanctions against Jaish-e-Mohammed (JeM) chief Masood Azhar, will be resolved soon, Chinese Ambassador to India Luo Zhaohui told news agency ANI Sunday. “Regarding Masood Azhar, we fully understand the concerns from your side [India] and we fully believe, and I am optimistic, that this matter will be resolved,” he added. “This is only a technical holding and that means we need time for continued consultations. The issue will be resolved,” he said. 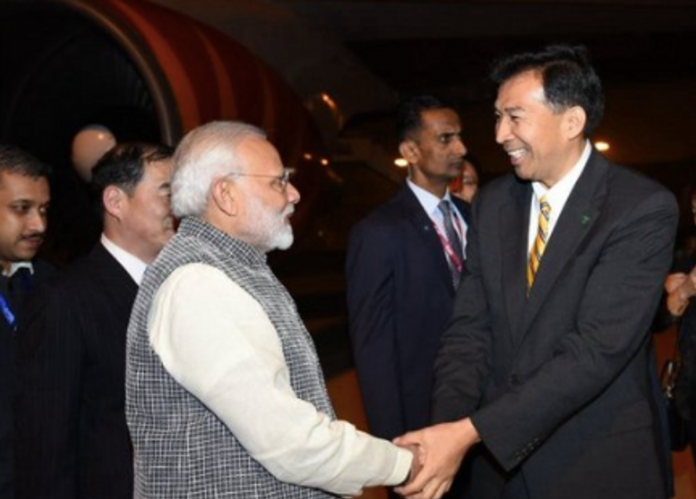 The ambassador added that after the Wuhan Summit between PM Narendra Modi and China President Xi Jinping last year, two-way consultations were on fast-track, and that China was happy with the progress on issues discussed. On Saturday, India had said it will continue to be “patient” with China and keep pursuing the Azhar issue through diplomatic means and back-channel talks. However, India has also made it clear that it has given enough evidence against Azhar and the terrorist activities carried out by his militant outfit JeM, which was banned by the UN in 2001. Following the Pulwama attack on 14 February, which killed over 40 CRPF personnel for which JeM claimed responsibility, the US, the UK and France had put forward a proposal to the UN 1267 ISIL and Al Qaeda Sanctions Committee to tag Azhar a global terrorist, a designation that would earn him a travel ban, assets freeze and arms embargo. The UN Security Council had set 13 March as the deadline for members to express their objection. Just before the deadline was to expire, China placed a ‘technical hold’ on the decision. Justifying the move, the Chinese Foreign Ministry said later that it was meant to get more time to find a “lasting solution” that will be “acceptable to all”. The technical hold will remain in place for nine months, after which it will turn into a block, which means a fresh proposal would have to be moved for the UNSC to consider sanctions against him. The proposal moved by the US, UK, and France was supported by 14 of the UNSC’s 15 members. India is currently not a member of the UNSC. Meanwhile, France has imposed a ban on Azhar nationally by freezing his assets.